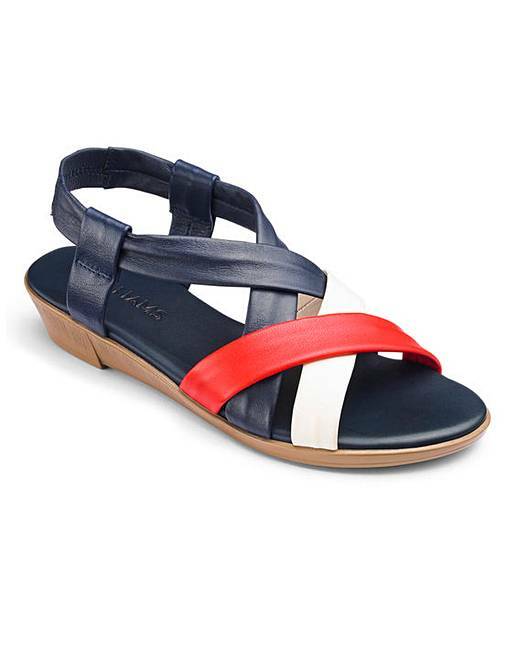 Leather Slingback Sandals E Fit is rated 4.0 out of 5 by 5. 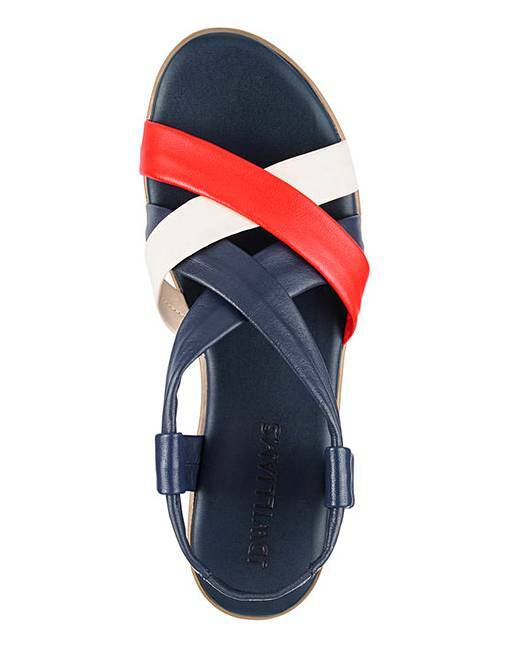 Available in an array of colours, the soft leather uppers of these sandals are really eye- catching. Elasticated slingback for all round comfort and finished on a low wedge unit. Perfect for all day wear. Rated 4 out of 5 by Chrissie from Soft Leather Really liked these sandals. Lovely soft leather, not quite wide enough for me ,so returned and reordered the EEE fit. Great evening sandal which will go with lots of things. Rated 4 out of 5 by Laurie from Really nice but come up a size smaller I really liked them they are nice and soft but they come up a size smaller, normally with sandals I wear size 6 or 7 but these ones are so small, couldn't even get them to fit as a size 7, will be sending them back and order a size 8. Also I would not advertise them as Wide Fit, they are just a normal fit. Rated 4 out of 5 by Surge from Lovely shoes... Lovely shoes - So shiny, trim and neat. So sad they didn't fit my spready feet. I'll try again quite soon from your great store Where I'll find things to fit me, I am sure. Meanwhile I'll start a diet for my feet... Sprouts, lettuce, beans and fish - No plates of meat!